He taught us to love, and to do it… Love in Action. Christ Jesus, in sending his disciples on mission urged them to go to the whole world. Knowing the job cumbersome, He promised them the Paraclete, Who would lead them on their path. The disciples, guided by the same Spirit went to the ends of the then World, leaving the rest to the future followers of Christ. The Missionary Society of HGN, in its divinely-guided growth saw it an existential necessity to amend the Constitutions, based on the signs of the age, and heeding to the missionary call of the Church. The decision of the Society’s Extraordinary General Assembly of 2004 decided to decentralize itself and erect Provinces for the more productive mission. Following this cue from the Centre, St. Paul Province, which was given the jurisdiction of Southwest Region, was officially inaugurated on 8th October 2008, at St. Mary’s Minor Seminary, Karunapuram, Kerala, by His Excellency Most Rev. Agnelo Gracias. St. Paul, the great Missionary Apostle was to be interceded to as the heavenly patron of the Province. The First Provincial Chapter elected Rev. Fr. Siby Peedikayil as the first Provincial. The administrative body included Rev. Fr. 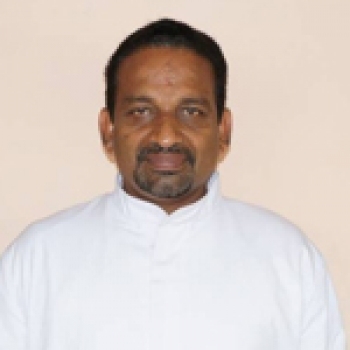 Baiju Kalapurayil as the Vice-Provincial, Rev. Frs. Nikson Adattu, Selvan Lazar and Thomas Olikunnel as Councillors, and Rev. Fr. Sibi Thadathil as the Provincial Procurator. The Team was to administer from the Provincialate set up at Pampady, Kottayam, Kerala. Being devoted to the single-minded missionary zeal of the Founder Rev. Dr. Jose Kaimlett, the newly erected province ventured into its mission field, which would in the following years cover a wide range extending from educational institutions to care homes to prayer centers and pastoral guidance. The province would send its missionaries to a big portion of Indian states and states Overseas. This mission scheme of the Province helped it to create its own cliché in pastoral works, especially in Kerala, a spiritually rich state. The rapport created by the members would encourage many dioceses across India and the Globe to welcome our Missionaries to their inlands. The milestones of the yesteryears include the brief note given here. 28th April 2010 marked the Blessing of Good News Priest Home and temporary Provincial House at Pampady by Most Rev. Sebastian Thekethecheril, the Bishop of Vijayapuram, and inauguration by Rev. Fr. A. Francis, the Superior General of HGN. With a roof over, the mission of the province spread in establishing various houses including Good News Asha Bhavan, Vagamon (2010) for the mentally challenged; Good News Ammaveedu, Pampady (2010) for the elderly men and women destitute; Good News Sneha Bhavan, Kakkoor (2013) for the elderly men destitute . With the brief yet steady growth, the province stepped into a new phase as the Second Provincial Assembly held on 9th and 10th August 2011, re-elected Rev. Fr. Siby Peedikayil as the Provincial Superior. The election retained Fr. Baiju Kalpurayil and Fr. Sibi Thadathil as the Vice-Provincial and Provincial Procurator respectively, and the new council body constituted Frs. Selvan Lazar, Joseph Kandathiparambil and Saji Pamplaniyil. The team would lead the province into various mission programs of the new decade with opening of Village chapel at Yernagudem, A.P. in 2012, St. Paul’s Hostel at Miao, Arunachal Pradesh in 2013 and St. Mary’s Boys Hostel, Bonakal, Telangana. in 2014. Meanwhile, the mission’s emphasis on education of the underprivileged resulted in erecting good schools in Arunachal Pradesh and the then united states of Andhra Pradesh. Most Rev. Bernard Morres, Most Rev. Paul Maipan, Most Rev. George Palliparambil, Most. Rev. Mathew Cheriyankunnel, PIME, Mar. Joseph Kallarangatt, Mar. Sebastian Adayanthrath, Rev. Msgr. Jose Navez among others. The Third Provincial Assembly held at Pampady (6th – 8th August 2014) elected Rev. Fr. Saji Sebastian as the new Provincial Superior. Rev. Fr. Thomas Olikunnel was elected the Vice-Provincial, and the new council body spotted Rev. Frs. Sibi Thadathil, Joseph Kandathiparamnbil, and Vinod Plackal. Fr. Selvan Lazar was appointed as the Provincial Procurator. The works of the new team saw the concretization of many projects including the Extension Block of Good News Asha Bhavan, Vagamon, St. Mary’s Girls Hostel at Bonakal, Telangana in 2015 and St. Paul School at Pathralapadu, Telangana. The province with its missionary wings extended to various parts of the world with the members extending their services in India, Italy, Australia, United States, Canada, The Netherlands, Germany, Papua New Guinea etc. We have, as per the status of 2016, 94 Fathers and in India and abroad 74 seminarians. The office of the province can be reached through the addresses given in our home page. Nations are still many to be led to Christ, and so the missionaries remain extremely necessary. We continue what Christ had told, to go to the whole world, to make disciples for him. 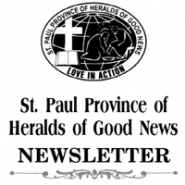 The St. Paul Province does it… amore in azione… love in action. Truly. 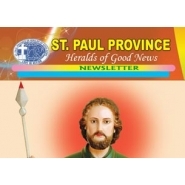 12-14 August 2008: First Provincial Chapter of the Province which took place at Heralds of Good News Generalate, Eluru, from 12 to 14 August, 2008, elected Rev. Fr. Siby Peedikayil as its first Provincial Superior, Rev. Fr. Baiju Kalapurayil as Vice Provincial and Rev. Frs. Nikson Adattu, Selvan Lazar and Thomas Olikkunnel as Councilors. Fr. Sibi Thadathil was appointed as Provincial Procurator. The Province was officially inaugurated by His Ex. Most Rev. Agnelo Gracias on October 8, 2008 at St. Mary’s Minor Seminary, Karunapuram, Kerala. The Provincialate is located at Pampady, Kottayam, Kerala. 30th March 2009 : The Laying of foundation stone laid for Good News Priest Home and temporary Provincial House at Pampady by Rev. Fr. Siby Peedikayil, the Provincial Superior. 29th June 2009 : First feast day celebration of the Patron of the Province after the erection of the Province. 4th July 2009: The Sacerdotal Golden Jubilee Celebration of Rev. Fr. Thomas Alencherry at Pamabady. 28th April 2010 : Blessing of Good News Priest Home and temporary Provincial House at Pampady by Most Rev. Sebastian Thekkethecherril, the bishop of Vijayapuram and inaugurated by Rev. Fr. A Francis, the Superior General, HGN. 29th June 2010: Blessing of Good News Asha Bhavan, Vagamon, a Rehabilitation Centre for the mentally challenged by Rev. Fr. Siby Peedikayil, and inauguration by Rev. Fr. Mathew K. John, the member of Board of Control for Orphanages and Charitable Institutions. 19th August 2010 : Foundation stone laid for Good News Bhavan, Kengery, Bangalore by Rev. Fr. Siby Peedikayil, the Provincial Superior. 7th November 2010: Foundation stone laid for St. Mary’s School, Bonakal, Khammam by Rev. Fr. Siby Peedikayil, the Provincial Superior. 15th January 2010 : The inauguration of Good News Ammaveedu at Pampady ny Most Rev. Sebastian Thekkethecherril, Boshop of Vijayapuram in the presence of His Grace Zacharias Mor. Filaxinos and Rev. Fr. Siby Peedikayil. 26th February 2010 : Blessing and inauguration of Good News Bhavan, Kengery, Bangalore by His Grace Most Rev. Bernard Morres, the Archbishop of Bangalore and Rev. Fr. Siby Peedikayil, the Provincial Superior. 23rd July 2011 : Blessing of St. Mary’s English Medium School, Bonakal, Telangana by His Ex. Most Rev. Paul Maipan, Bishop of Khammam and inauguration by Rev. Fr. Siby Peedikayil, the Provincial Superior. 30th July 2011 : Blessing of St. Paul School at Dhone Khona, Arunachal Pradesh by His Ex. Most Rev. George Palliparambil, the Bishop of Miao, and inauguration by Rev. Fr. Siby Peedikayil, the Provincial Superior. 4th- 8th August 2011: Retreat for the Provincial Assembly at Anugraha Renewal Centre, Vazhoor, guided by Rev. Fr. Mathew Vengakunnel. 9th- 10th August 2011:Second Provincial Assembly. The second Provincial Assembly of the Province which took place at Good News Amma Veedu, elected Rev. Fr. Siby Peedikayil as its Provincial Superior for the second time consecutively, Rev. Fr. 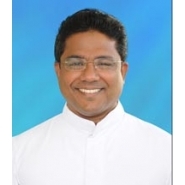 Baiju Kalapurayil as Vice Provincial and Rev. Frs. Selvan Lazar, Joseph Kandathiparambil and Saji Pamplaniyil as Councilors. Fr. Sibi Thadathil was appointed as the Provincial Procurator. 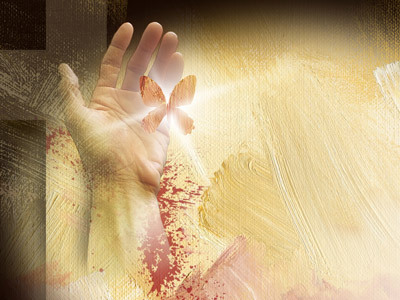 17th-18th March 2012 : Annual retreat for our priests in San Pio Capuchin Retreat Centre, guided by Rev. Fr. Boby Jose, OFM Cap. 17th-18th March 2012: Ongoing formation program for the members in the administration at HGN Generalate, Eluru. 23rd- 26th April 2012: Annual gathering of the Seminarians at Pampady. 26th- April 2012 : Most. Rev. Dr. Sebastian Thekkethecheril, Bishop of Vijayapuram blessed the Chapel of Amma Veedu. 28th July 2012 : Most. Rev. Dr. Sebastian Thekkethecheril, Bishop of Vijayapuram inaugurated the gathering of the inmates of Good News Amma Veedu. 26th-31st August 2012 : Annual retreat for our priests in San Pio, Capuchin Retreat Centre, guided by Rev. Fr. Boby Jose, OFM Cap. 18th November 2012: Village Chapel at Sangaigudem, Yerangudem parish was blessed by Most. Rev. Mathew Cheriyankunnel, PIME. 22nd- 25th April 2013 : Annual gathering of our Seminarians at GNRC, Pampady. 20th May 2013 : Good News Sneha Bhavan was blessed by Mar. Joseph Kallarangatt, the Bishop of Palai and Mar. Sebastian Adayanthrath, the Auxiliary Bishop of the Archdiocese of Ernakulam- Angamaly presided over the concelebrated Holy Mass. Sri. Anoop Jacob, the Honorable Minister for Food and Civil Supplies inaugurated Sneha Bhavan in the presence of Mar. Sebastian Adayanthrath and Very. Rev. Fr. A. Francis, Superior General and many other dignitaries. 1st June 2013 :St. Paul’s Hostel at Miao, was blessed by Most. Rev. George Palliparampil, Bishop of Miao, and inaugurated by Rev. Fr. Siby Peedikayil, the Provincial Superior. 28th July-1st Aug, 2013 : Annual retreat for our priests at Anugraha Renewal Centre, Vazhoor, Kottayam, guided by Rev. Dr. John F. Cheriyavely V.C. 2nd & 3rd August 2013 : Second provincial forum at Anugraha Renewal Centre, Vazhoor, Kottayam. 30th September 2013: Foundation stone of St. Mary’s Hostel, Bonakal, laid by Rev. Fr. Siby Peedikayil. 1st February2014 : Silver jubilee celebration of St. Joseph’s E.M. school, Yernagudem, Andhra Pradesh. 22nd -25th April 2014 :Annual gathering of the seminarians at St. Mary’s Minor Seminary, Karunapuram. 9th May 2014 : Land purchased at Patharlapadu, Telangana. 12th- 16th May 2014 : Annual retreat for our priests at Anugraha Renewal Centre, Vazhoor, Kottayam, guided by Fr. Joseph V.J. CSSR. 18th-19th May 2014 : Ongoing formation program at Anugraha Renewal Centre, Vazhoor, Kottayam, guided by Rev. Fr. KT Jose SDB. 20th May 2014 : Provincial House 1st floor blessed and inaugurated by Rev. Msgr. Jose Navez. 17th June 2014 :St. Mary’s Hostel at Bonakal was blessed by Rev. Dr. Paul Maipan, the Bishop of Khammam and inaugurated by Very. Rev. Fr. A. Francis, Superior General, HGN. 21st July 2014 : Cemetery chapel Pampady blessed by Most. Rev. Dr. Sebastian Thekkethecheril, Bishop of Vijayapuram. 31st July 2014 : First floor of Good News Amma Veedu was blessed by Rev. Fr. Siby Peedikayil, Provincial Superior. 1st-5th August 2014 : Retreat for provincial assembly at Anugraha Renewal Centre, Vazhoor, Kottayam. 6th- 8th August 2014 :Third Provincial Assembly at St. Paul Provincial House Pampady.The third Provincial Assembly of the Province elected Rev. Fr. 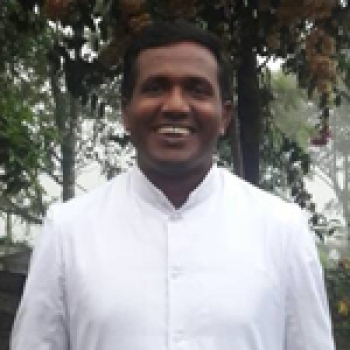 Saji Sebastian as its third Provincial Superior, Rev. Fr. Thomas Olikunnel as Vice Provincial and Frs. Sibi Thadathil, Joseph Kandathiparambil and Vinod Plackal as Councilors. Fr. 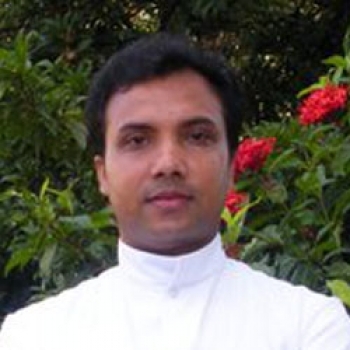 Selvan Lazar was appointed as the Provincial Procurator and Fr. Sinoj Pynadath as Provincial Secretary. 14th May 2015: Blessing of the extended block of the Good News Asha Bhavan at Vagamon by Rev. Dr. Saji Sebastian, the Provincial Superior and Inauguration of the same by Rev. Dr. Thomas Olikunnel in the presence of many of our fathers and sisters of the place. 13th June 2015 : Blessing and inauguration of St. Mary’s Girls’ hostel at Bonakal by Most Rev. 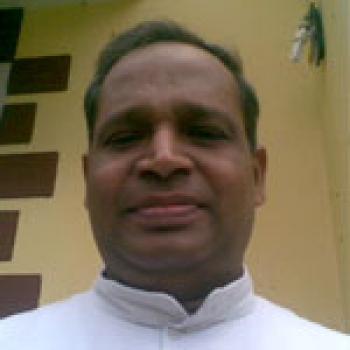 Paul Maipan, the Bishop of the Diocese of Khammam and by Rev. Fr. M. Ignatius, the Superior General of Heralds of Good News, respectively, in the presence of our Fathers, Fathers of the Diocese of Khammam, Religious, many other dignitaries, students and their parents. 29th June 2015: Blessing of St. Paul School at Patharlapadu, Khammam, Telangana by Rev. Fr. Prabhakar, the Parish Priest of Thirumalapalam. Rev. Fr. Sibi Thadathil, Rector and staff of St. Joseph’s Major Seminary, Khammam were also present during this auspicious occasion. 3rd July 2015 : Inauguration of St. Paul School, Patharlapadu by Rev. Dr. Saji Sebastian and Rev. Fr. Philip Kulathinapadickal, the Asst. Superior General of Heralds of Good News. Rev. Dr. Jose Madapatt and many of the fathers of the Province were present. 22nd August 2015: Blessing of the Parish hall at Vagamonby Most. Rev. Dr. Sebastian Thekkethecheril, Bishop of Vijayapuram. 2nd March 2016 : Inauguration of the community hall construction by Rev. Dr. Saji Sebastian, in the presence of Frs. Kurialassery Joseph, Binoy and Rector of the Rosearinian house. 1 st - 4th May 2016: Annual retreat for our priests at Anugraha Renewal Centre, Vazhoor, Kottayam, guided by Rev. Fr. Pious Kuttyanimattathil SVD. 5th- 6th May 2016: Third provincial forum at Provincial House at Pampady. 27th June 2016: Blessing and Inauguration of the Multi-Purpose hall of St. Mary’s Hostel at Bonakal by Rev. Dr. Saji Sebastian, the Provincial Superior in the presence of many of our fathers and sisters of the place. 23rd July 2016: Blessing of the extended block of the Good News AmmaVeedu by Most. Rev. Dr. Sebastian Thekkethecheril, Bishop of Vijayapuram, and Inagurated by Rev. Fr. M. Ignatius, the Superior General of Heralds of Good News, in the presence of Rev. Fr. Philip Kulathinapadickal, the Asst. Superior General of Heralds of Good News, Rev. Dr. Saji Sebastian, the Provincial Superior and many of our fathers and sisters. 1st August 2016: Foundation stone laid for the New Building at St. Paul School, Patharlapadu, Khammamby Rev. Dr. Saji Sebastian, the Provincial Superior in the presence of Rev. Fr. Philip Kulathinapadickal, the Asst. Superior General of Heralds of Good News and many of our fathers.